Hey there, radio fans. Tonight we've got Darren Frost with us on What's So Funny? Or at least, we're airing the episode he recorded a couple weeks ago. And, in fact, the episode we dropped as a podcast yesterday. So it's out there and you don't have to wait up to 11 pm to hear it if you don't want. But I know some people love the warm crackle of a radio. This is for them. It's Darren's fifth time on the show, but this one's my favourite. Don't know why. And I'm not just saying that to get you to listen. But please do. We're on the air at 11 pm in Vancouver on CFRO 100.5 FM. If the streams are working, you can always livestream us at coopradio.org. Are you ready for another pre-pod? This is something I'm doing now with pre-recorded shows. I'll drop the podcast episode before the radio episode airs. I hope no one minds. 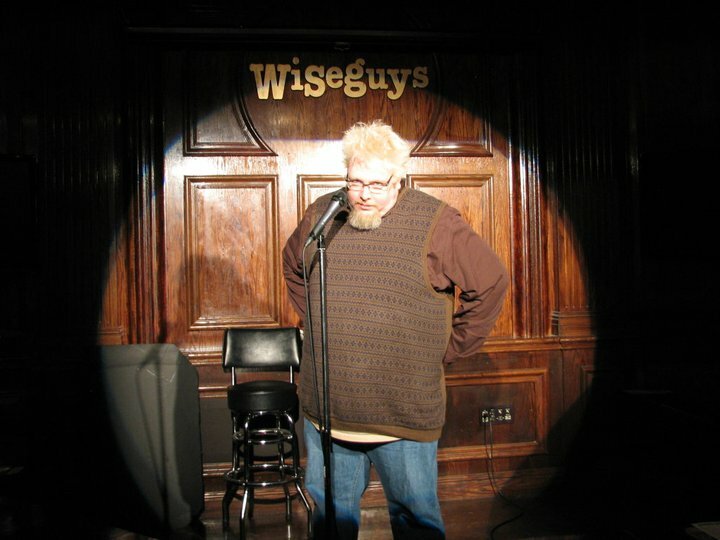 Today we've got my latest conversation with Toronto comic Darren Frost. Darren thought this was his fourth appearance on the show, but further research proves it was his fifth. A high honour, indeed, for an out-of-towner. We had a fun wide-ranging talk that included his opinion that standup is, if not dying, then evolving, his marriage to Mark Breslin, his funnypants era, werewolf babies, working with bigtime movie stars, jumping the shark career-wise, the death of his podcast, and, of course, his nominations at the latest Canadian Comedy Awards. So get a jump on the radio show and listen to this one today. Click below. Or, if you don't see it (some servers are weird, let's face it), go check out iTunes, Stitcher, PodcastLand, TuneIn, Player.FM, or even the Danish site MusicGoal.de. And if all else fails, let Google be your friend. If you're a radio listener who hasn't yet figured out the whole podcasting world, tonight's your night. For the first time in our 10-year history, we released the podcast version before it aired on radio. A couple weeks ago, the podverse received our Orny Adams episode into its clutches. But some of you prefer the old-fashioned way, over the airwaves. Tonight we play that episode and it's a doozy... Wait, is 'doozy' a good thing? Because this is. 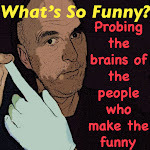 Orny and I talked for almost two hours (the episode runs 1:46) about all things under the comedy sun. Best of all, we hashed out our differences in a most cordial manner. He's a good guy. And a great comic. Apparently he got standing ovations at every show he performed at Yuk Yuk's the week he was in town. I witnessed two of them myself. So tune in tonight for this extend-o episode to 100.5 FM in Vancouver at 11 pm. You can livestream us at coopradio.org, too. Because we care. Ten years on the air and we finally got Canadian standup legend Mike MacDonald. And it was awesome. As anyone who follows comedy in the country knows, MacDonald went through a lot in the past few years. Diagnosed with hepatitis C, he lost 100 pounds before getting a liver transplant. He walks us through his ordeal, which included a suicide attempt. But as heavy as that is, he's still the hilarious sarcastic guy we'd grown to love over the past 30-odd years, and he shows it in this episode. There was lots more he talked about, too, besides his illness. He talked about his early days working rock clubs, his problem with TV comedy editing, how he met his wife, why he doesn't like to be talked to before a show, the science of smoking weed, and lots, lots more. Enjoy this one. You can click below (if you see the gizmo) or you can go download us at iTunes, Stitcher, PodcastLand, Player.FM, TuneIn.com, etc. If you can't find us, Google us. Big surprise tonight. I had originally planned to run the pre-recorded Orny Adams interview tonight. But since that's already been released as a podcast, it can wait. Especially because the opportunity to have the legendary Mike MacDonald in studio came up. The King of Canadian Comedy has been back on the road after recuperating from a liver transplant that literally saved his life. He got it on St. Patrick's Day (of all days to get a new liver, as he points out in his new act) and has been getting better by the day. It was a shock to all of us to see him wasting away from hepatitis C leading up to that operation. I saw him on Thursday at Yuk Yuk's and was so happy to see him back to his old sarcastic-as-all-hell hilarious self. The guy has done more Just For Laughs festivals than anyone else. He's performed on Letterman. Had his own specials here and in the US. Even starred in his own sitcom back in the day. He's done it all. Well, except for What's So Funny? but that's about to be rectified tonight. Tune in at 11 pm to CFRO 100.5 FM in Vancouver or livestream us at coopradio.org or any radio app that works for you. Should be good. Here's a What's So Funny? first: We're releasing this episode as a podcast before it hits the air! (We'll air it on radio this coming Sunday.) But I wanted to get this one out as soon as possible because not only do I think it's pretty great, but it's also much longer than usual, clocking in at just under 1 hour 47 minutes. It's also got a pretty good backstory, this one, which I explain in the intro. 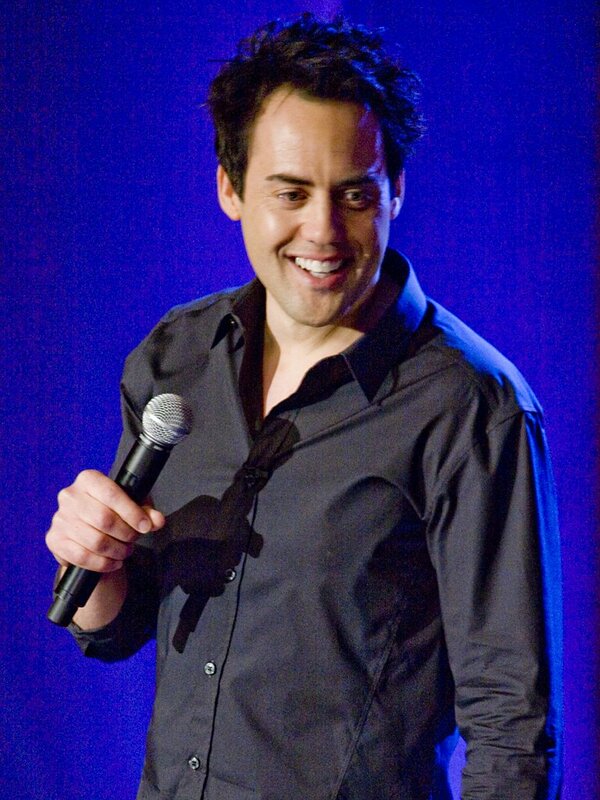 Any serious fan of comedy knows the name Orny Adams. There's only one Orny, afterall. Any non-serious comedy fan probably knows him from his role as the lacrosse coach on Teen Wolf. But I, like many of you, first saw him in Jerry Seinfeld's documentary Comedian, which came out in 2002. And this is at the heart of the aforementioned backstory. I interviewed Adams by phone last year and wrote about him in the Straight. You can read that article here. Orny had issues with it. We hashed it out over email but in a very constructive and positive manner. And he said if he was ever in Vancouver again, he'd gladly do my show. He's good on his word. We had a really nice conversation. He, himself, thought it was the best podcast he's done, content-wise. So I think you'll enjoy it, especially if you love talk about comedy. The guy lives and breathes it. Stream it here or go download it at iTunes, Stitcher, PodcastLand, Player.FM, TuneIn.com, etc. etc. You know the drill. We're at podcast episode 365ish. You know what that means? You can go back to the beginning and listen to one a day for a year. Art Factora was our guest on this one. He talked about shucking alcohol and washing dishes between his commercial radio gigs. 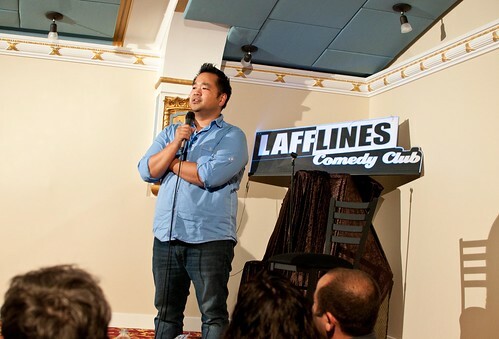 The Filipino-Canadian standup who recently visited the homeland also revealed he doesn't know where it is geographically (it's in the northern hemisphere, for the record). And he talked about his stage fright. Good talk. Good guy, that Art Factora. Have a listen here or download on iTunes, Stitcher, PodcastLand, TuneIn Radio, etc. etc. Has it really been four years since Art Factora made his one and only appearance on What's So Funny? Turns out it's true. I saw Art recently at the Comedy MIX on Burrard where he was on in between Graham Clark and Debra DiGiovanni so we arranged another visit for him. We'll check in on what he's been up to. I know he just produced a show with fellow Filipino comic Rex Navarrete at the Columbia Theatre on Friday. We'll see how that turned out, too, and find out if he's still Patrick Maliha's wingman. Tune in to 100.5 FM tonight at 11 pm, livestream us at coopradio.org or TuneIn Radio. I told you there'd be a quick turnaround with this one. It aired on radio late last night and it's already out as a podcast. Record time! So you know all about it. Let's see, was there anything I didn't cover in yesterday's write-up for Peter Greyy? I know I asked him about the spelling of his surname... We talked about comedy hosting... deejaying... news anchor taglines... comedy contest judging... the Bremerton Effect... and lots more. Plus if you're a comic looking to do the Seattle or San Francisco competition, maybe there's some useful info for you. Check it out here. Or go download the episode at iTunes, Stitcher, PodcastLand, etc. And subscribe! And leave a comment and rating! And all that. It's November. That means besides horrible moustaches, it's Seattle International Comedy Competition time. Week 1 begins on Nov. 5. Tonight we've got the big boss man of the competition, Peter Greyy. He's also the head honcho of the San Francisco International Comedy Competition, but that's already over and done with for the year. I recorded this chat a few weeks ago when Greyy was up in town taking in a showcase at Yuk Yuk's for hopefuls. Sure, we talked about the contests, but we also delved into his past, from his days deejaying to a breakup that led to his standup career. He also has a theory about Canadian competency in comedy that's quite interesting.